Buenos Aires is characterized by the influence European immigration had on it. Spanish, Italian, British, German, Scandinavian and French have colored the city’s culture, population and architecture becoming a part of its identity. Because there were different periods of immigration; during the colonization, but also in the 1860’s due to government encouragement to populate the country with educated europeans, and post first and second world war, it has become an interesting place for antiques and curious knick knacks. 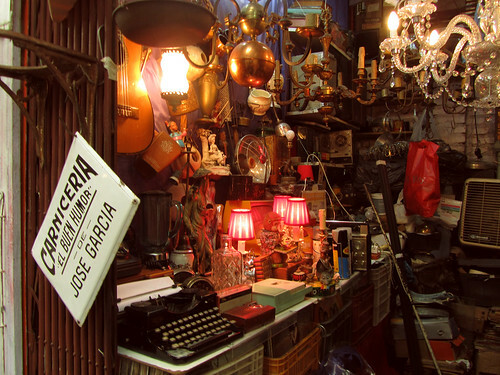 The traditional place to go for these kind of objects is San Telmo, however, the Dorrego Flea Market in Palermo is often overlooked and is the perfect place to go on a treasure hunt. Just a few blocks away you can sit for a light lunch, or coffee at italian delicatessen Cucina Paradiso.